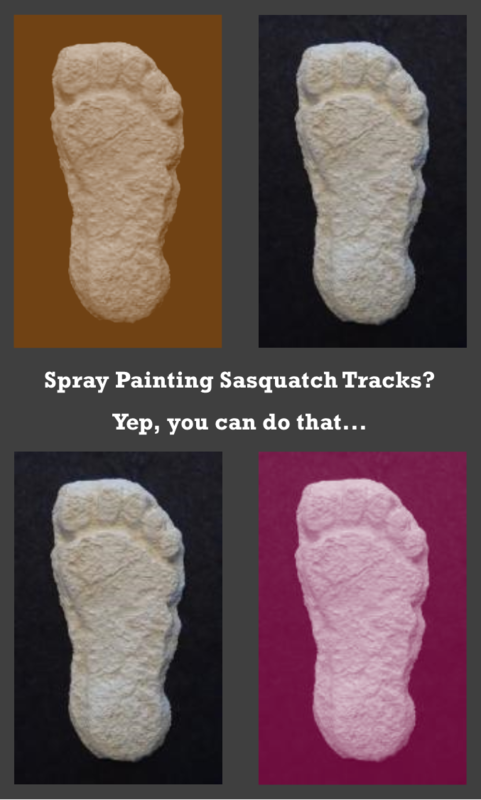 I thought I would share a tip I just picked up from the May-June 2015 issue of Evidence Technology Magazine that could be pretty helpful to all of us when documenting Bigfoot and Sasquatch tracks. Forensic ITC Services owner Dwane S. Hilderbrand wrote an article entitled “WHY CAST? Making a difference with footwear and tire tread casts”. In the article, Hilderbrand discussed the various merits of casting tracks such as having a three dimensional representation that could be used to demonstrate to a jury that is having trouble understanding the significance of footwear related to a case. Bear in mind, Evidence Technology Magazine is geared towards crime scene management and the gathering, protecting and organizing of forensic evidence. So what would this have to do with Sasquatch tracking? Well, Hilderbrand said that footwear impressions in snow are difficult to photograph. He suggested using a “dark-colored aerosol paint” applied to the track from one direction to highlight the characteristics of the footwear. Likewise, light colored paint could be applied to impressions in soil. Think about that for a second. How many photographs of Bigfoot or Sasquatch tracks have you seen where you could not even tell they were tracks? Would the use of paint on the track or impression have made for more clarity in the documenting photography before the cast was made? I’ll answer for you, YES! The application of paint is merely an extremely thin film that does not interfere with detail and the casting process. Are those spiffy colored tracks in my graphic misleading? Sure, but it got your attention. Cool idea for tracking!!! I think We must find something environment-friendly, without residues… Edible colors (for cake design)? I like the idea of eco-friendly tracking… Not only low to zero residue, but as a tracker, you have to consider you are contaminating the “natural scents” along the trail as you paint. That could lead to future tracks never being on the same trail. Sort of educating a Sasquatch through smells / scents so he / she learns to avoid you more. Well I like the idea of more contrast, another item to add to my field kit, a small can of spray paint! Wonder how it would work with different snow types? Will have to do some testing soon. Thanks for the tip! 10-4 to that, I will look into some environmental spray paint. I Imagine the odor could affect lots of animals, either make them move away, or possibly attract some?